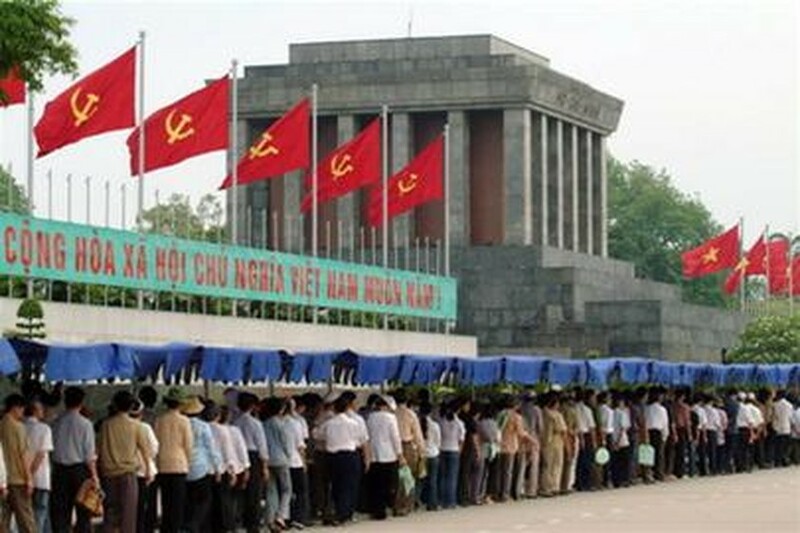 Tens of thousands of people flocked into the capital city of Ha Noi to visit Ho Chi Minh Mausoleum on the occasion of Viet Nam’s National Day. 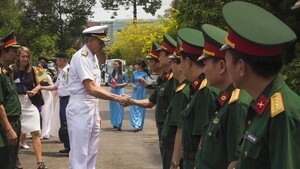 Ho Chi Minh Mausoleum welcomed over 25,000 people on Saturday, ten times more than on a normal day. On the morning of September 2, the roads surrounding the mausoleum were crowded with visitors, most of whom were schoolchildren and the elderly from northern provinces. Vietnamese and foreigners lined up together, all waiting more than an hour to see the late President and pay their respects on National Day. The square in front of the mausoleum was teeming with people all weekend. The Sunday after National Day, Prime Minister Nguyen Tan Dung burnt incense to commemorate the late President in home no. 67, the house where President Ho Chi Minh passed away in 1969, just a stone’s throw from the mausoleum. The PM gave his regards and thanked the government officials at the Ho Chi Minh Monument for their dedicated preservation of all the exhibits pertaining to the late President. He affirmed that the preservation of the monument has been a great service to the Party and the people of the nation.